Microsoft MVP, VMware vExpert\EUC Champion & Citrix CTA. Co-Author of the popular Application Virtualization Smackdown community white paper. 10 years experience in end-user computing. Competent at some things, expert at rambling on! 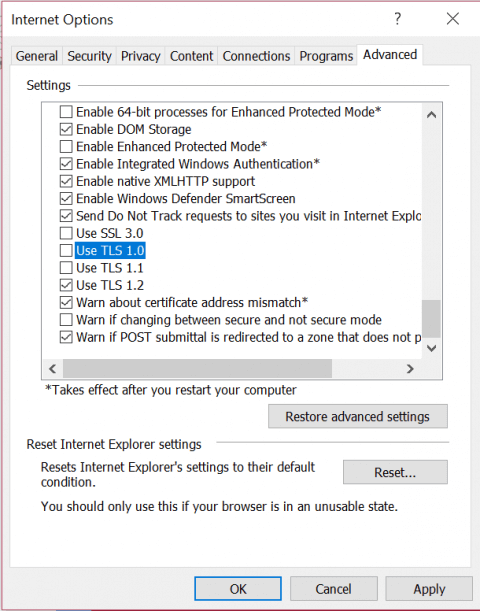 This post is titled 'Using App-V for Legacy TLS' but could be applied for various different Internet Explorer settings. I picked TLS because I was speaking with a former colleague who was approached by his management about needing to disable legacy versions of TLS right away, he was concerned that various web apps required it and they didn't have any workaround for those to continue to function. This article title has a couple of those oh, so wonderful acronyms we love to throw around in the tech industry. BYOD = Bring Your Own Device and MDM = Mobile Device Management. These two acronyms go hand in hand. For years now, enabling BYOD has been a goal for many organizations. Those working as IT professionals have probably heard that in the past, IT has been the department of No and today, modern IT teams need to be the department of Yes.